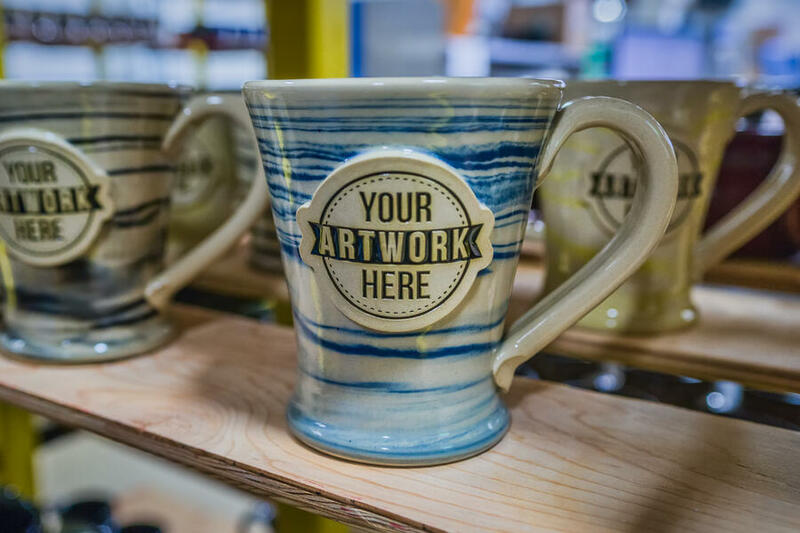 With unique patterns and American-made quality, Sunset Hill Stoneware's SwirlWare products are the best branding items you'll find anywhere. Show everyone who interacts with your brand that you care about quality and have one-of-a-kind pieces for your artwork or logo that lasts virtually forever. To see our full line of SwirlWare, fill out the form on the right. If you're ready to order your SwirlWare, call us at 800-509-4662.